15 Tons Of Ivory Was Burned Tuesday. Here It Is In Elephants. While a towering 10-foot-high pile of elephant tusks bursting into flames is spectacular, what's really shocking is what the pile represents: the lives of more than 1,300 elephants. On Tuesday, the Kenyan government set 15 tons of ivory ablaze in a message to poachers that the country's wildlife is off-limits. The move follows a three-year span in the country, from 2011 to 2013, in which poaching was at its highest levels since the 1980s. In 2014, Kenya's poaching numbers declined slightly, with 35 rhinos and 164 elephants killed - compared with 59 rhinos and 302 elephants the previous year. "Many of these tusks belonged to elephants which were wantonly slaughtered by criminals," President Uhuru Kenyatta said at the ceremony, AP reports. "We want future generations of Kenyans, Africans and the entire world to experience the majesty and beauty of these magnificent beasts. Poachers and their enablers will not have the last word." Kenya is just one of many African countries with a poaching problem. 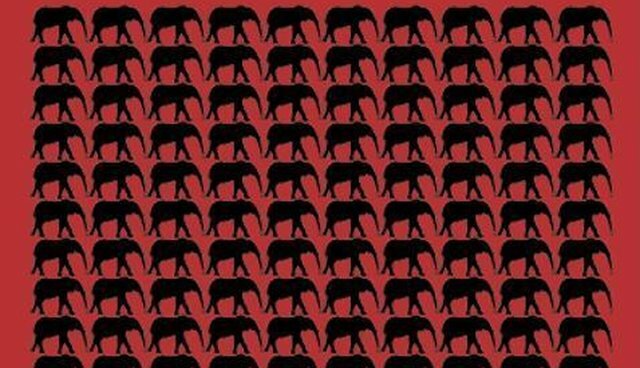 From 2010 to 2012, more than 100,000 elephants were killed on the continent for the ivory trade. To make matters worse, many young calves become orphans when their mothers are killed by poachers, often left to die on their own unless they are rescued by other members of the herd or by people.